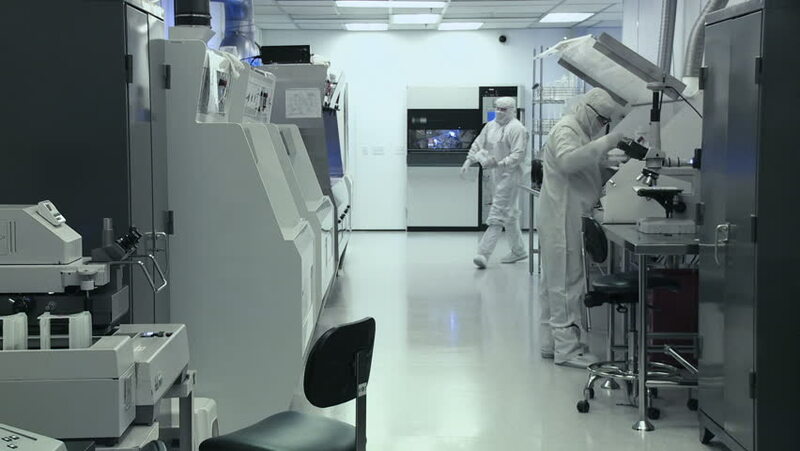 Scientists and technicians working on silicon chip manufacture in a clean room, wearing full body white "bunny suit" coveralls to avoid contamination. Extreme long shot. hd01:01CIRCA 1966 - Men of NASA's Mission Control Center in Houston are shown at work. hd00:20Zelenograd, Russia - October 19, 2017: Factory for the manufacture of electronic printed circuit boards. Workplace mounting and pre-assembly.